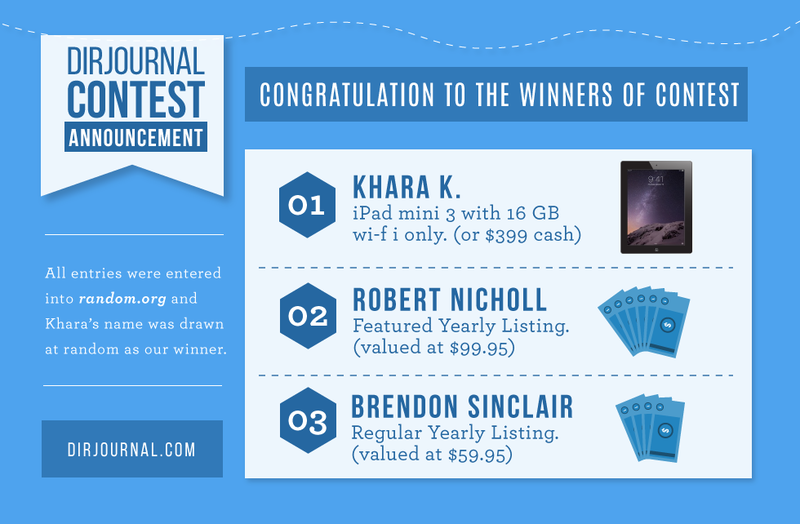 Congratulations to Khara K, winner of a brand new iPad mini 3. Khara is one of many entrants who submitted to DIRJournal with the coupon code DJIAPD. All entries were entered into random.org and Khara’s name was drawn at random as our winner.